Al Unser Jr drives Geartronics equipped Wolf at Road America. Former CART champion and twice winner of the Indy500, Al Unser Jr shook down the latest Wolf sportscar at Road America this month. Driving the Italian made GB08s, both Unser and JFC Racing team owner Miles Jackson proclaimed themselves delighted with a flawless inaugural test. 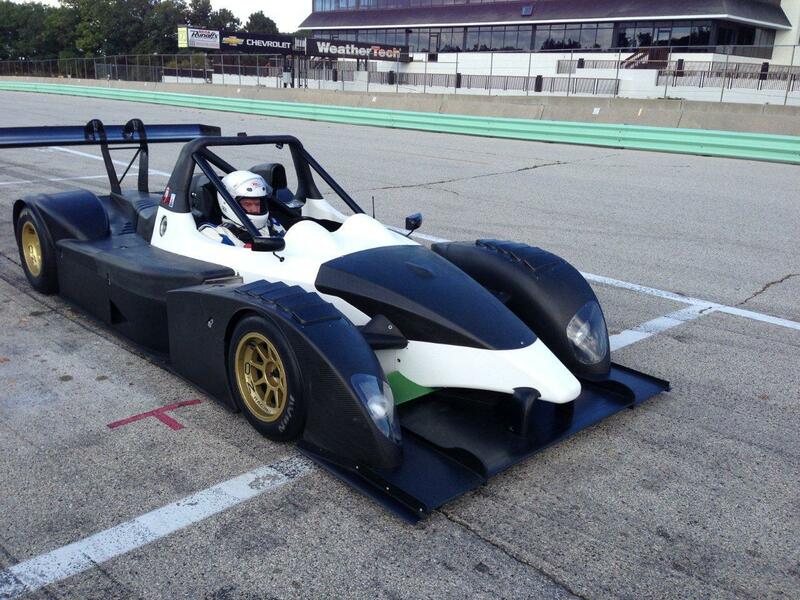 The GB08s is an all-carbon chassis fitted with an RPE V8 engine controlled by a Mectronik MKE6 management system. The tranaxle is the latest Sadev SLR82-14 operated by the Geartronics pneumatic paddleshift system incorporating our latest CANbus based 'GCU3'. After a full day on track, both Unser and Jackson noted that the system didn’t miss one shift all day and proved to be very smooth and reliable right out of the box. This was Al Unser Jr’s first experience of the Geartronics system, and he commented that the down shifts were seamless and he particularly liked the auto-upshift feature which amazingly was his first experience of fully auto shifting in his entire motorsport career. The next outings for the car are several private tests in preparation for the 25-hour endurance race at Thunderhill Raceway in Northern California on December 7th. Click here to see a short video clip of the car in action. 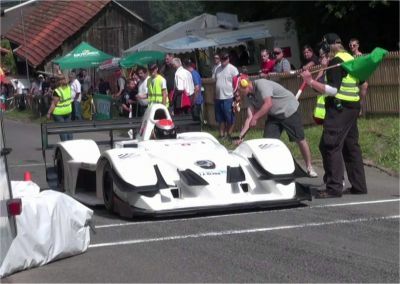 The latest round of the FIA European Hillclimb Cup took place at Osnabrücker Germany over the weekend of 4/5th August which saw Geartronics customers take the top four places. Swiss driver Julien Ducommun emerged as overall winner in his Osella/Zytek FA30 ahead of fellow countrymen Marcel Steiner (Osella/Zytek), Joël Volluz (Osella/Zytek) and Eric Berguerand (Lola/Zytek) who took 2nd, 3rd & 4th places respectively. The Geartronics paddleshift systems were used to great effect, with the top three drivers beating last year's track record. Ducommun was particularly impressive in the new car, smashing the previous record by 1.58s with a time of 0:51.434. We haven't had much time for website updates recently due to the heavy workload, but we do have some new videos of recent installations to show you. Click on the links below to open the Youtube videos in a new window. Many more videos & photos can be viewed on our gallery page. One of the main developments over the past couple of months has been to further enhance the CAN communication capabilities of our latest GCU3. We now have the ability to directly control the engine torque reduction (cut patterns or ignition retard) and torque recovery slope using our own internal tables. We wrote the software specifically for a confidential job, but we are able to write code for use with any suitable ECU that allows torque control via CAN messages. 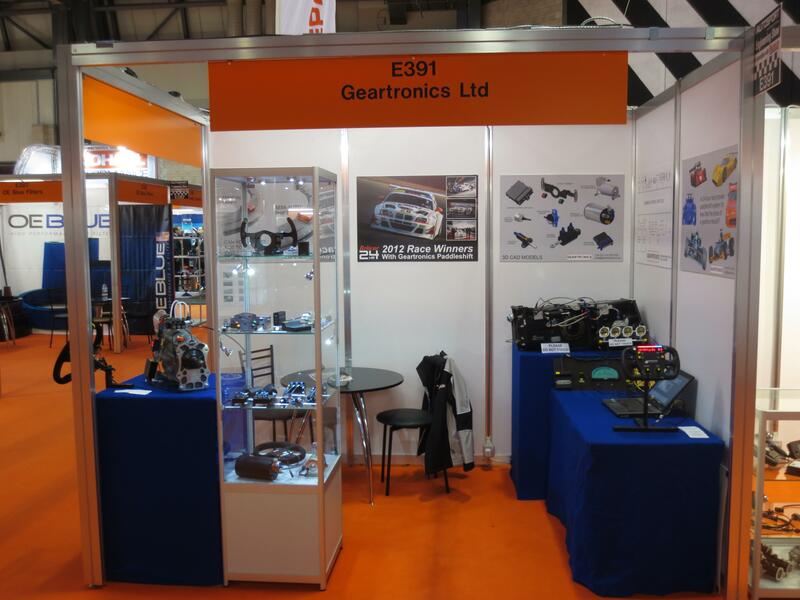 The first few months of 2013 have been the busiest period ever at Geartronics. We've been flat out with new installations and pre-season track support since the Autosports show back in January. Visit our gallery page to see a few photos & videos of our latest installations. 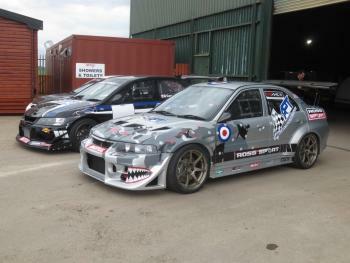 Our most recent installations have been on the three Mitsubishi Lancer EVO's of Anthony Lidster, Gary Hayward and Ross Walker. Anthony's and Ross's cars were fitted with the Maktrak 6-speed gearbox, and Gary's car was fitted with a 5-speed Drenth gearbox. Anthony was using our original GCU while Gary & Ross had our latest CANbus based GCU-3 controlling the shifts. 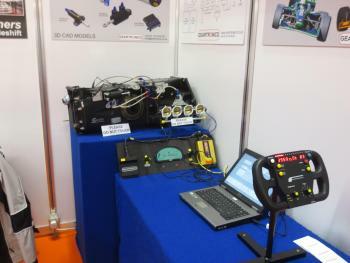 All cars were fitted with MoTeC M800 engine ECU's. These latest three installations add to our considerable experience with these cars. Previous customers include Paul Andronic in his hillclimb car and Chris Eaton's 'NEMO' EVO, the winner of the 2012 World Time-Attack Challenge (WTAC). Our new GCU-3 is now available for general sale, and it represents excellent value for money considering the highly sophisticated control that it offers. 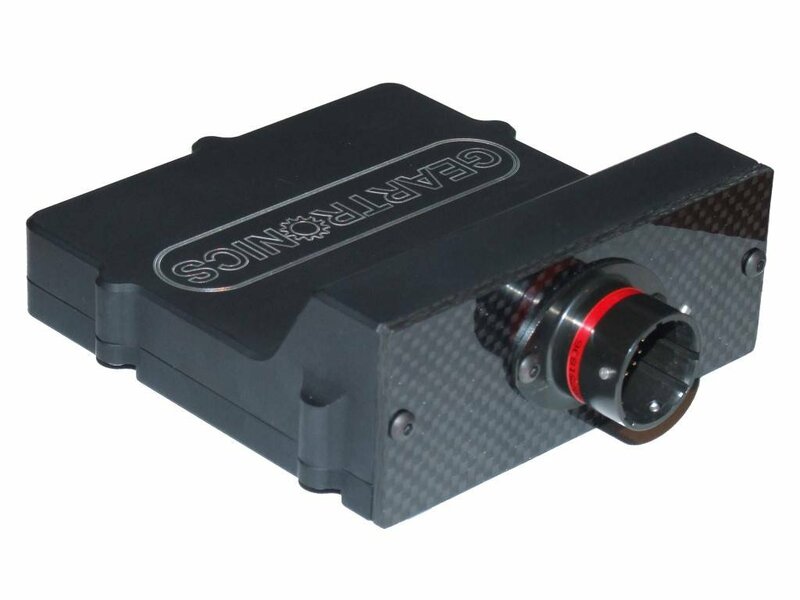 The unit features our well-proven shift strategies, with the addition of dual 1-mbit CAN interfaces to allow integration with the latest racecar electronic systems. The screenshots above demonstrate the flexibility and user-friendlyness of our CAN configuration software. Click the images for a full size version. To successfully setup a racecar CANbus network you will obviously need a basic understanding of CAN communication and the ways in which it's implimented by the various manufacturers, but we don't think you will find any other GCU software easier to configure. 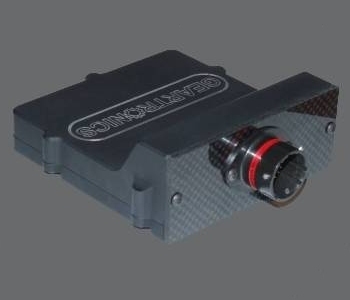 In fact, not all paddleshift suppliers offer a CANbus option, which leaves them well behind and unable complete at the sharp end of today's high-tech motorsport world. We've been so busy since the Autosports show that it now seems like a distant memory. So busy in fact, that we haven't had the chance to thank all the customers, old and new, who took the time to come and say hello over the two days. As in previous years, we were aware that a lot of visitors didn't get the chance to talk to us because of the sheer number of people around our stand. From our point of view, that could be seen as a good thing, but we know how frustrating it can be, especially for our overseas visitors, so for that, we apologise. Those of you who did get to see us will no doubt have seen our new CANbus system in action. 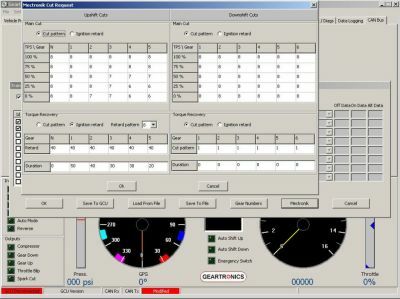 The new GCU, called 'GCU3', was connected to a MoTeC M800 ECU, CDL3 dashboard and Farringdon steering wheel - all communicating over a high-speed CANbus network. The feedback we received from motorsport professionals was very favourable and GCU3 looks set to become a popular choice for our professional customers. For clubman customers we also had on display our original system mounted to a Quaife 60G in-line gearbox. This installation is proving very popular with Ginetta G50 and Caterham-7 owners, and we have developed complete kits for these cars, including mounting brackets and wiring looms.